I will post arm swatches later so we can look at the isolated shadow, but Everything Counts is used here across the center of the lid. On my skin tone, it comes out as a warmer, mid-tone peach color with gold sparks. I also used Shiro Mother of Dragons on the outer edge, Shiro Hodor in the crease, a little Shiro Little Bird slightly above the crease, and Fyrinnae’s Jade Ghost in the inner corner (I know I know, I rave about it all the time, but I swear this shadow has a glow of its own). I’m a little convinced that Mother of Dragons goes well with… maybe everything? 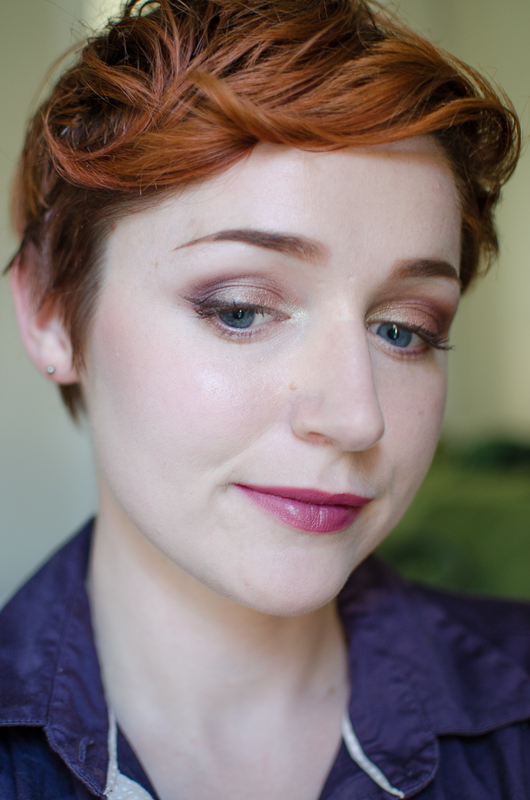 This was also a great opportunity to use my new Hello Waffle Terracotta blush! 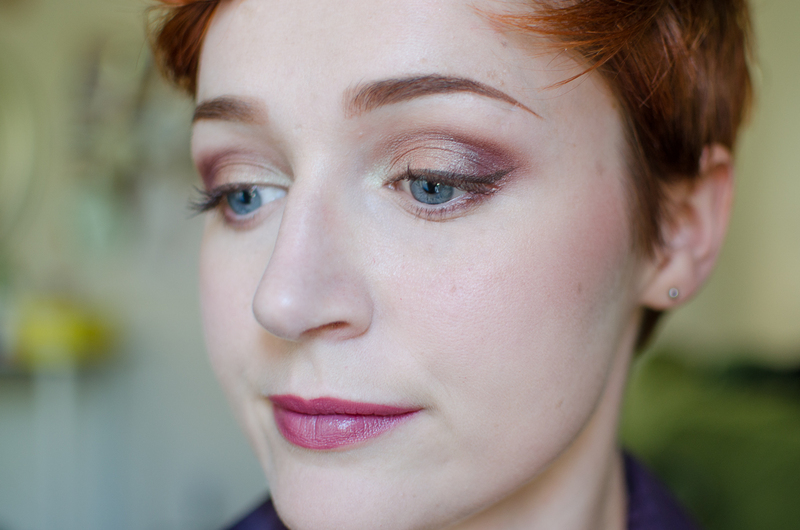 It is described as a ‘warm, burnt orange’, and like most any color I apply to my skin, it ended up looking more pink-ish once I blended it out, but I thought worked well with the peach of Everything Counts. 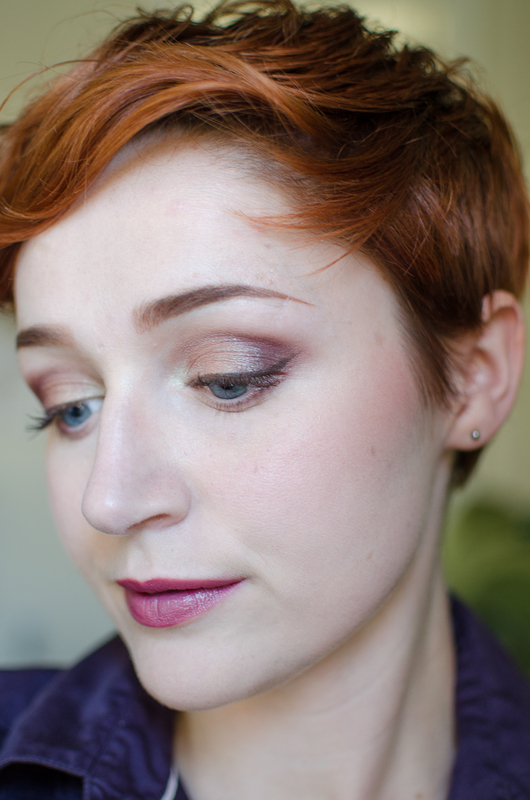 I love how easy Hello Waffle blushes blend! 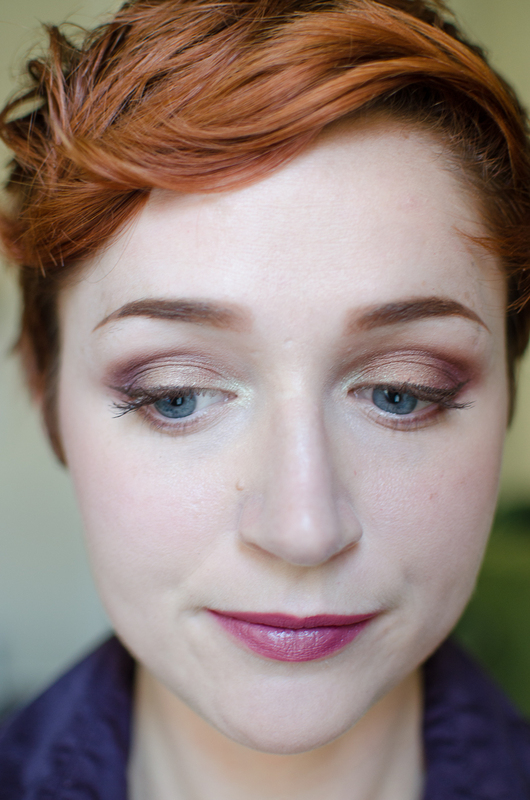 And like all of Christine’s products, it had truly excellent pigmentation, a little went a long way. Of course I contoured with Pumpkin & Poppy Oak Bark, as usual. Nothing too heavy, but hopefully enough to give a little oomph. My everlasting love, Fyrinnae Pygmy Hippo, was also the perfect choice for lips today… for some reason this looked a bit darker on me than it usually does, but that may be because I have been wearing lighter lipsticks, or none at all, recently. 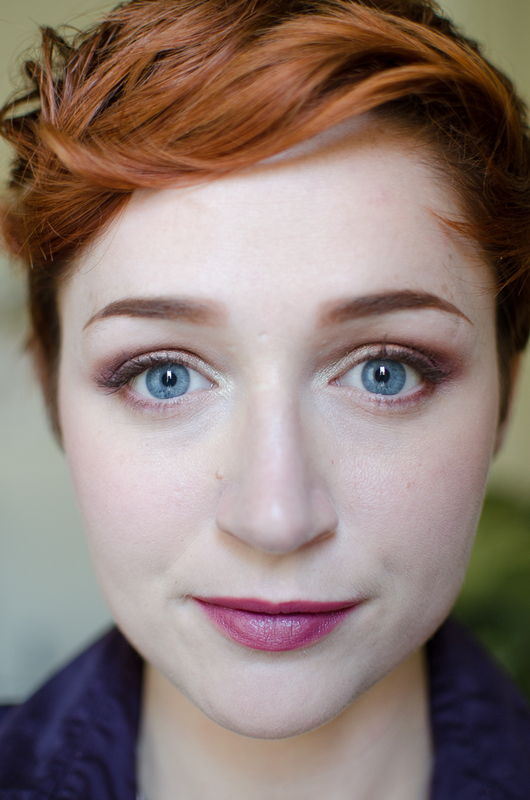 Either way, still totally in love with the color, and Fyrinnae’s lip lustre formula. Fyrinnae will be releasing matte lip products soon, and I hope that they have a similar moisturizing quality! 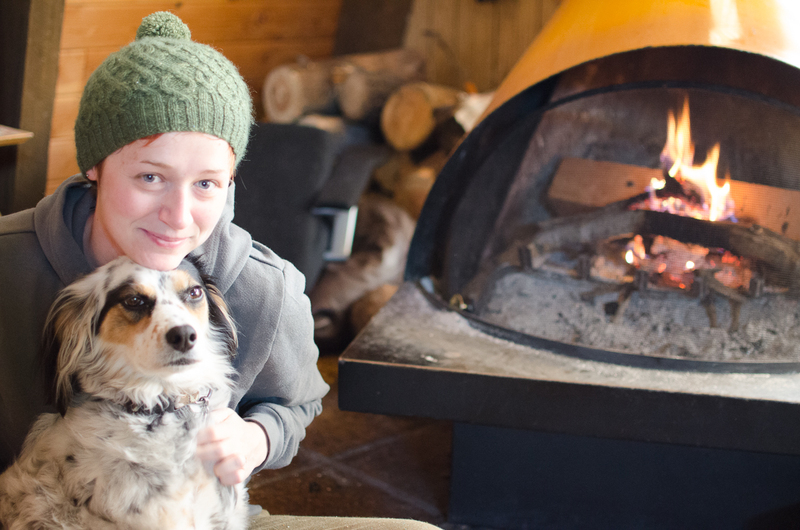 No regrets, though, cabin stays are the bomb). Isn’t it?! Caitlin is a genius, I swear.